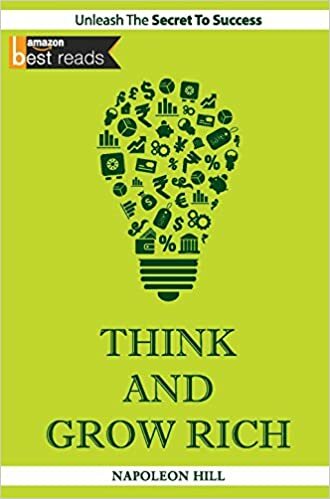 Think And Grow Rich has earned itself the reputation of being considered a textbook for actionable techniques that can help one get better at doing anything, not just by rich and wealthy, but also by people doing wonderful work in their respective fields. There are hundreds and thousands of successful people in the world who can vouch for the contents of this book. At the time of author’s death, about 20 million copies had already been sold. Numerous revisions have been made in the book, from time to time, to make the book more readable and comprehensible to the readers. The book details out the most fundamental questions that once bothered the author, Napoleon Hill. The author once set out on a personal quest to find out what really made some people so successful. Why is it that some people manage to remain healthy, happy and financially independent, all at the same time? Why, after all, do some end up being called as lucky? The answers, no wonder, had to be no less than revelations. For more than a decade, the author interviewed some of the wealthiest and most successful people in the world. It was based on what author learnt in the process from all these people, when asked about how they achieved not just great riches but also personal wellbeing. The author formulated hundreds and thousands of answers, into concise principles which when acted upon, many claim, can help one achieve unprecedented success. The author has in many places narrated short stories and examples that help explain the concept at hand in an engaging manner. Think and Grow Rich teaches not just concepts but also methods. It is not a book that a reader can use for one time consumption. The book, even author recommends, has to be read one chapter at a time and in sequence. Several readers and even some motivational speakers claim to have been reading this book over and over again, few pages at a time, for a long time now. Till date, it remains the number one self help book in the world, as far as sales are concerned! An American journalist, lecturer and author, Napoleon Hill is one of the earliest producers of 'personal-success literature’. As an author of self-help books, Hill has always abided by and promoted principle of intense and burning passion being the sole key to achieve success. Hill has authored numerous books among which Think and Grow Rich has been his most well-known works and had sold over 20 million copies back in the 1930s.